Need a book recommendation or a gift idea? Looking to build up a reading list? Can't make it into the store for a conversation? 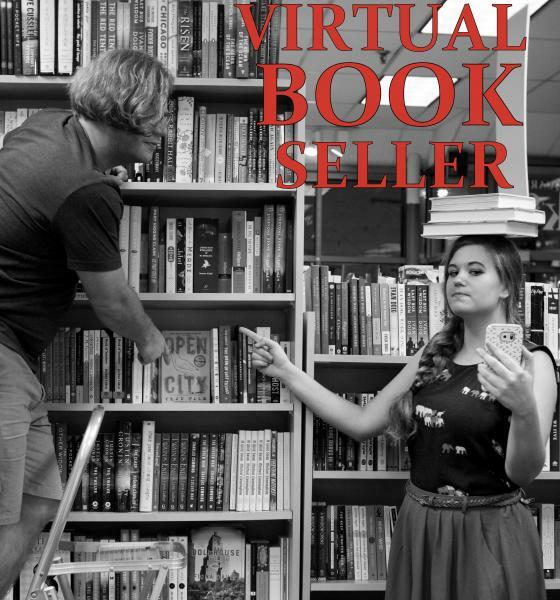 Ask The Virtual Bookseller. Fill out the form below and your answers will be shared with the Porter Square Books booksellers. In a couple days, we'll send you a list of personalized book recommendations. It's the closest you can get to combining the convenience of online shopping with the conversations that drive bookish culture. Name of the person the books are for if not for you. What are some of the reader's favorite books? What are some other books the reader has recently read? What are some books the reader didn't like? What else is the reader interested in? What genre(s) does the reader prefer? What type(s) of mystery does the reader like? What type(s) of literary fiction does the reader prefer? What type(s) of fantasy does the reader prefer? What type(s) of sci fi does the reader prefer? What type(s) of history does the reader prefer? What type(s) of nonfiction does the reader prefer? What type(s) of graphic novels does the reader prefer? What type(s) of science does the reader prefer? When does the reader prefer their stories set? Where does the reader prefer their stories set? Do you have any other reading commitments? Anything else about the reader we should know?